Blogging has been recognized for years as an important aspect of any marketing campaign. For Launch Team clients, the most immediate impact is in the short-game of lead generation. Blog posts are used as part of an inbound marketing program to direct readers to longer pieces of content like white papers, eBooks, and tip sheets that are form protected and used to generate leads. The blog post is designed to attract leads early in the buying process, those at the top of the sales funnel. Promoting blogs in strategic locations across the web is the most effective means we have of attracting new leads. Last week, we presented at an event for High Tech Rochester (HTR) and their manufacturing community, and at Optifest, Optipro’s annual manufacturing open house. Many companies like these, faced with overseas competitive price pressures and increasingly complex customer demands, struggle with what an effective sales model looks like now. SEO is no longer something you just do, it's something that happens when you do everything else right. Each week, we share a quick tip for marketing success on our YouTube and Instagram channels. Follow us there or subscribe to our blog updates so you never miss a tip. When we heard about Mobilegeddon we prepared our clients, checking their competitors’ mobile compatibility and monitoring traffic closely as the April 21st roll-out date approached. We were especially worried for a couple of our clients who have yet to make the shift to mobile-friendly websites, because the much-publicized Google search algorithm update was supposedly intended to punish non-mobile-friendly sites. But April 21st came and went, and we did not see the shifts in traffic patterns we expected. Keyword Optimization Conundrum - The Impact of "Not Provided"
In two prior posts, one in April on the impact of not provided on marketing metrics and in a February post on Secure Search and Not Provided background information. The February post also includes a short list of actions you can take to adapt to the changing search environment. 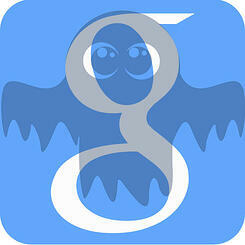 Have you noticed that you have less organic search data available? 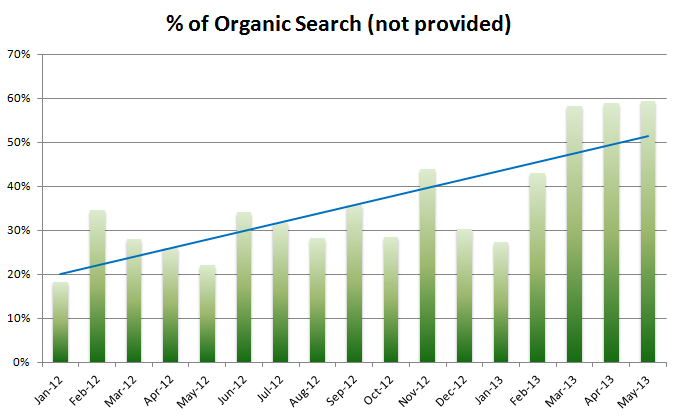 In early February, we highlighted the impact of secure search on our organic search data in 2012. Approximately 31% of our organic search results were "(not provided)". This result means that people are accessing your site via secure search, which prevents you from seeing the search terms they used to find you. If you’ve been paying attention to the headlines over the past year or so, businesses, marketing agencies, SEO practitioners, and other online marketing enthusiasts predict that keyword research as we know it (or knew it), is rapidly diminishing in effectiveness. Keyword research has been the SEO go-to source for website optimization.